Bias cut Camisole in Silk Satin. This is a soft fitting top and has to be put on over your head or stepped into if possible not to stretch it over the hips. There is a 4-6 month timeline for this order, please email if requesting a shorter timeline. 100% Silk Satin outer and lining. What Bridal Gown Size am I? 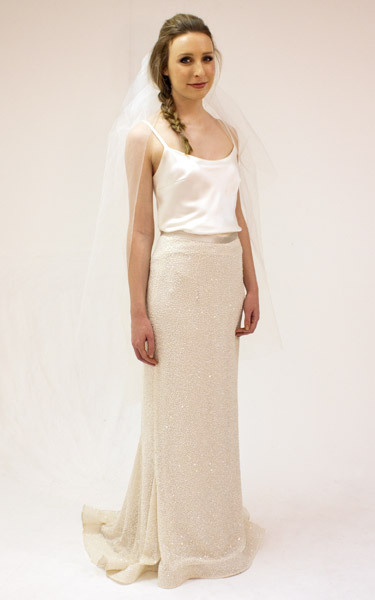 Melanie makes designing and choosing your wedding dress effortless and enjoyable. Experience our beautiful range of trims, laces and fabrics to create the gown of your dreams.